Approved by :Ministry of Commerce,PRC. Organizer:Beijing Shibowei International Exhibition Co.,Ltd. The regulations on the supervision and administration of medical devices shall be implemented as of June 1, 2014. According to the medical equipment production, management, usage ,the food and drug supervision and administration department under the state council timely analysis and evaluation to the risk of medical apparatus and instruments change, adjust the catalogs. In 2013, the gross of Chinese medical market worths $ 400 billion and still will be rising at an annual double-digit percentage. 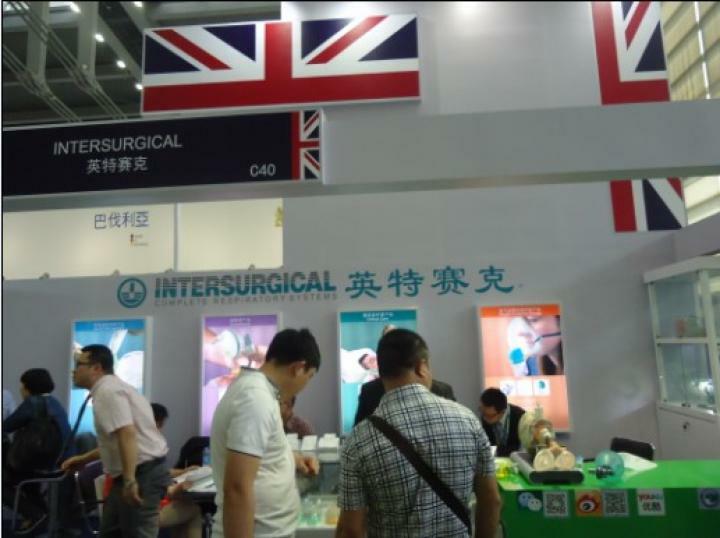 According to medical monitoring network, the cake in the China medical market is becoming more and more huge, attracting international medical giants pay more attention to the Chinese market . More and more companies will put the Chinese market as the key market to the future revenue growth and profitability .However multinationals in China &amp;amp;quot;barbaric growth&amp;amp;quot; era has been lopsided ,Chinese regulators have become more stringent .Now compliance has become a topic of concern among Chinese and foreign enterprises . Although faced with all sorts of situation, it is also a mature market as they should .And the Chinese medical market for multinational companies still represents the endless opportunities! The 20th China International Medical Equipment Expo 2016 attracted more than 1000 exhibitors and covered the areas more than 36,000 ㎡, breaking the record of the previous Fair. In the opening ceremony, there were officials from over 24 embassies in china and The Ministry of Health、The Ministry of Commerce、Development Research Center of the State Council and more than 80,000 professional visitors from 28 countries have witnessed the unprecedented event together! 20th CIMEE is meticulously planned to provide the best possible chance for wellness, medical and health care product manufacturers, service providers, educational facilities and research institutions that operate globally to do more profitable business, keeping in view of the spectacular rapidly growing and stable macro -economic China health care Industry, which is the fastest growing economy in China. comply with the relevant standards. 2. Exhibitors who make sure to attend the exhibition should firstly contact the organizing committee to choose their ideal booth position, then fill in the exhibition application form and agreement form. Mail or fax the forms with your signatures to the organizing committee. The contract will be effective after being signed by both parties. Faxes or copies are valid . 3、Exhibitors upon receipt of the booth confirmation within five days, transfer the costs to the organizing committee designated bank account, overdue don&amp;amp;#39;t pay, the organizing committee.Have the right to change the original booth or cancel its participation qualifications. 4、the organizing committee adhere to the first application, the principle of first payment, first to confirm. 5、the organizing committee according to the needs of the overall effect of the venue and fire safety, have the right to adjust part has confirmed the booth. 2.professional wholesale market for health food,supermarket,department stores,pharmaceutical business group,green health food stores, concession counter,health center,health management chain,private club,community supermarket chains and convenient stores. 3.foreign buyers,import and export trading companies,more than 130 countries Embassy Commercial Section ,industry association ,over 50 offices of provinces and cities in Beijing,SASAC central trade union system,home for respect of aged,research institutions ,the staff and senior manager of the health food manufacturers etc. 4.center of customer services,trade services institutions,gift shop,vital buyer units. Raw space	Over 18㎡	＄380/㎡	No equipment; set up your stand by yourself. Add: Room 904, Cell 4, Building 1, Fortune Street Tower, Chaoyang Road No.69, Chaoyang District,Beijing,P.R.China.